Pure Blonde: capturing a new audience for an Australian innovator. 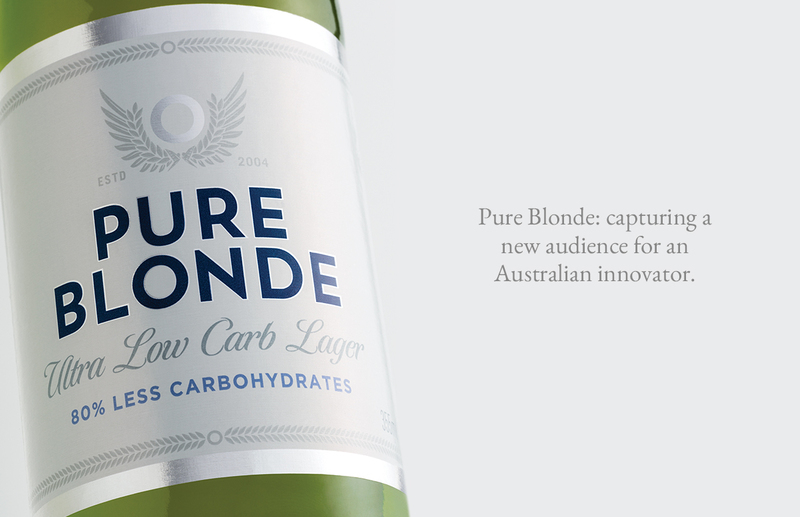 Pure Blonde was launched in 2004 as the first low carbohydrate beer in the Australian market. However many other me too brands soon entered the market on the brand’s coat-tails, creating a ‘blonde category’. 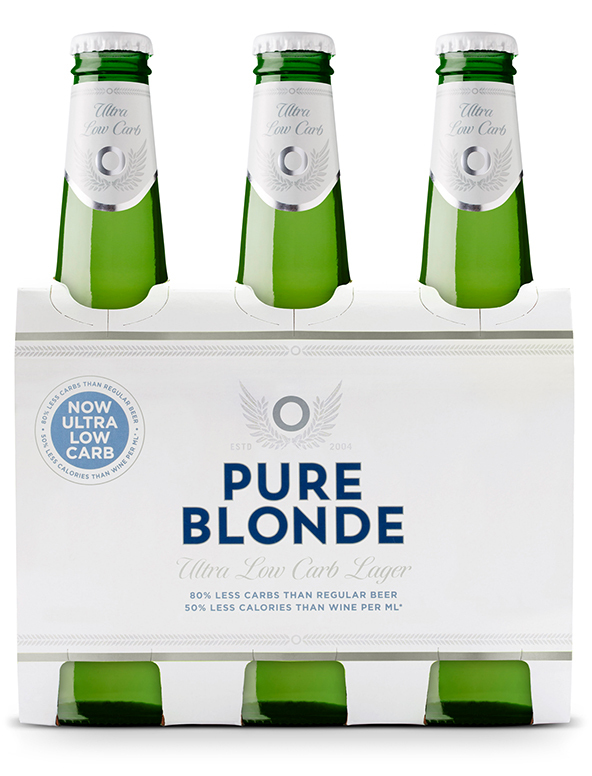 Pure Blonde went from market leader to almost invisible in the category it created. Consumer’s perception of health benefits had also developed: drinkers were more interested in ‘better for you’ products that were without additives and/or preservatives. We were briefed to rejuvenate Pure Blonde so we created a clean, simple and unique pack amongst the competitive set. 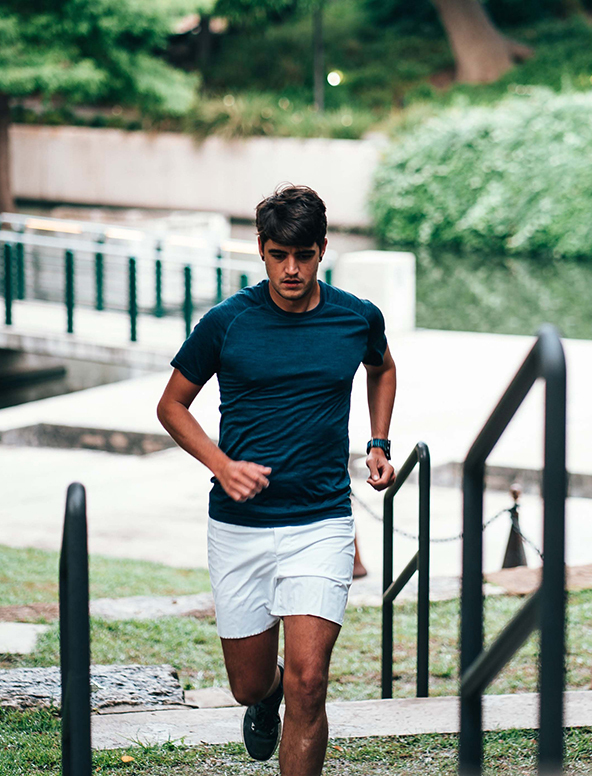 Deliberately contemporary, unisex and devoid of traditional beer cues, the design’s semiotics speak to purity, health and lightness whilst reinforcing the brand name. Developing the brand’s old angel icon, the new Pure Blonde logo features a halo surrounded by wings made of barley sheaves which speaks to the purity of the product. Pure Blonde has achieved phenomenal success since relaunching with a +28% shift in sales. 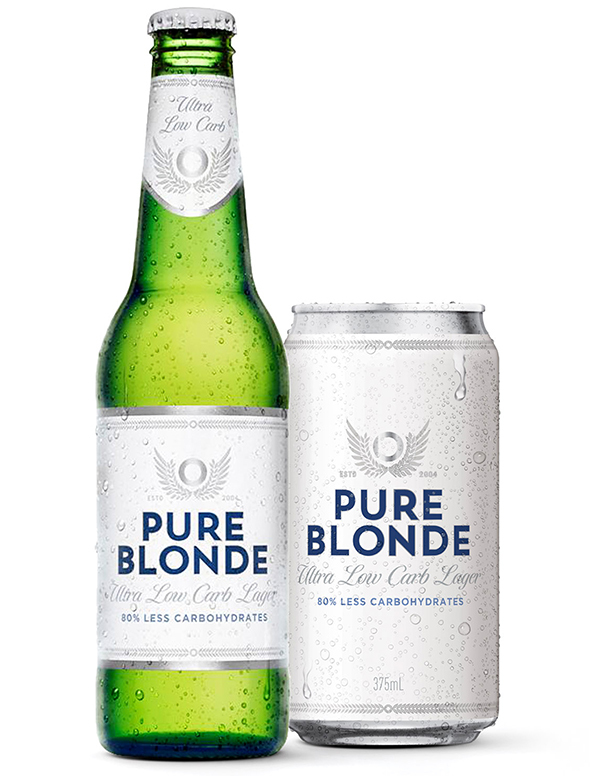 Following on the success of the relaunch, in 2017 Pure Blonde ventured into the low-carb cider category. 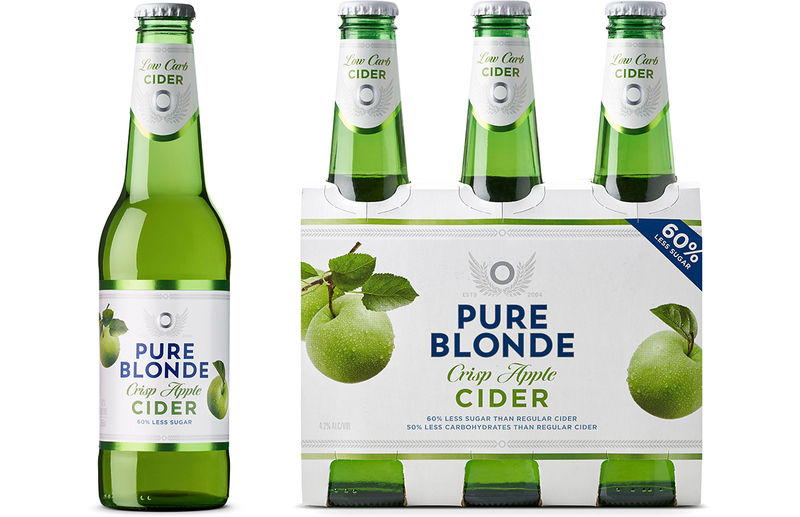 After just one month in the market, Pure Blonde Cider became the #6 Cider brand in Australia with 5.4% share.